For a holistic and environmentally sensitive design firm to meet your architecture needs, we recommend using Shelter Architecture! Shelter Architecture has received dozens of reviews on four verified sites with an average rating of 4.77 stars, earning them an incredible Rating Score™ of 95.74 and a 2019 Top Rated Local award for ranking among the top 10 architects in all of Minnesota! “We have done several projects with Shelter, and have had them do designs for us for future projects, too. They built us a beautiful carriage house, a Hollywood-level dressing room, an office built for two, and updates in our bedroom, to name a few. They are wonderful! We are toying with having them build us a cabin! They are professional and warm, great listeners, and always find ways to surprise and delight their customers. Our projects with them have won awards, and our carriage house, which is a replica of the original Victorian one, accidentally passed the city historical reviewers as the original structure! So, don’t hesitate, they can do anything, and [they] love a good challenge! -Gretchen T.
We wanted to learn a little more about this award-winning business and its impressive online reputation, so we took a few minutes to talk with Kurt Gough, the marketing manager at Shelter Architecture. Outside of building a powerful online reputation, Shelter Architecture has gotten their name out there through regional print ads for residential work and art programs, networking, and face-to-face meetings. Congratulations to the team at Shelter Architecture for being a 2019 Top Rated Local award winner, and thank you so much, Kurt, for taking the time to speak with us! Visit their website here! 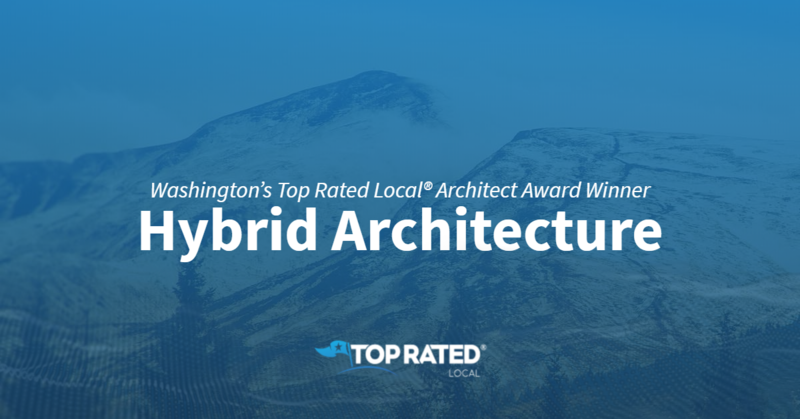 Top Rated Local® is pleased to announce that Hybrid Architecture is a 2018 Top Rated Local award winner! Our team at Top Rated Local® is thrilled to say that, with a 91.05 Rating Score™, a 4.91 average star rating, and tons of positive reviews, Hybrid Architecture is a 2018 Top Rated Local award winner! This team has worked tirelessly to ensure that their clients are absolutely thrilled with both the process and the finished product. Focusing on ideas before objects, they put one project at a time, always with a keen eye on quality. Being in a cyclical industry, the Hybrid Architecture firm has all the steps covered, as they are able to provide both design and building services to their valued clients. We got a chance to speak with Robert Humble, the owner, principle, and founding partner of Hybrid Architecture, about his business’ impressive online reputation. Thank you for speaking with us, Robert! Congratulations to the team at Hybrid Architecture for being a 2018 Top Rated Local award winner! 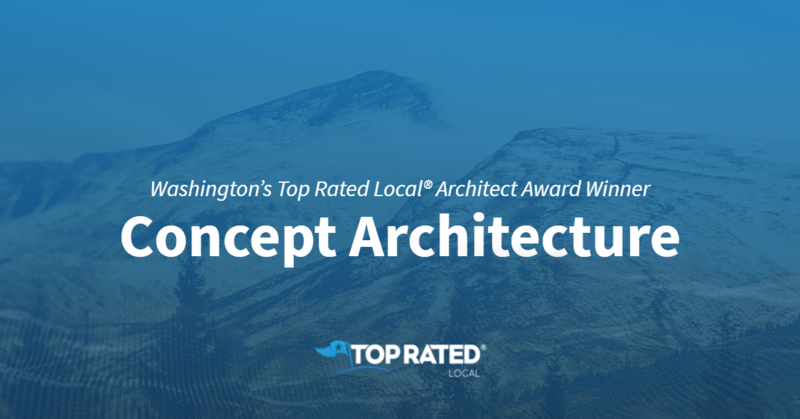 Top Rated Local® is pleased to announce that Concept Architecture has landed among the top 10 architects in the entire state of Washington! We wanted to know how Concept Architecture managed to gain such a positive online reputation. Martin Reimers, owner of Concept Architecture, took some time to speak with us about what exactly it is that sets his company so far apart from the crowd. “We are focused on client needs and communication, most architects aren’t. We get great feedback on that.”, he said. Congratulations to the team at Concept Architecture for being a 2018 Top Rated Local award winner! 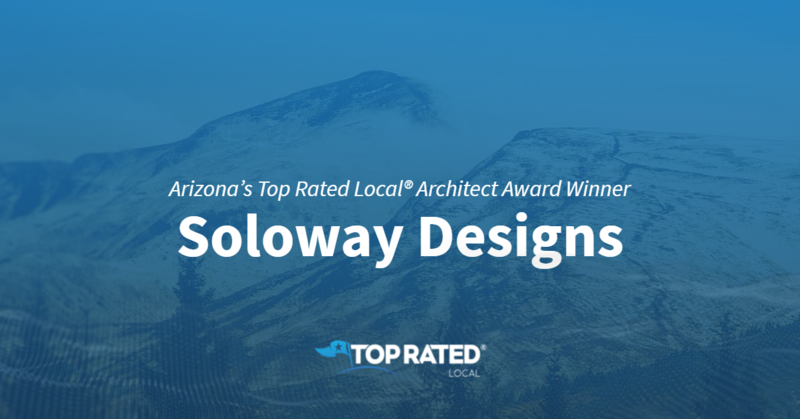 Top Rated Local® is pleased to announce that Soloway Designs is one of the top five architects in the entire state of Arizona! “When moving back to Tucson, AZ, we had difficulty finding homes with a modern and contemporary design aesthetic. Although Soloway Designs does an incredible job on new build designs, they also specialize in redesigning older homes. We live in a home that was originally built in the late 1960s but was lacking in function, form and modern amenities. Soloway Designs did an amazing job keeping the original character of the home, but also redesigning it with modern elements that captured the surrounding desert landscape and downtown views. We love it!” -Charlene B. “It has been a pleasure to work with Marc Soloway and Soloway Designs on the building of our dream home. After reviewing our budget, needs for our home, and unique lot, Marc designed a modern home with a cozy feel for our family. We love the design and details that make our house special. We would love to work with Marc again in the future.” -Marc R.
We were curious as to why Marc does what he does. “I always wanted to be an architect, since [I was] nine or 10 years old, so I’m doing exactly what I always wanted to do. I love solving problems for my clients and giving every client the best possible house, whether it’s a half-a-million dollar or a five-million-dollar house, it doesn’t matter.”, he said. Marc’s advice to other business owners that are looking to build up a great online reputation? It’s simply about the clients. Make sure your clients are happy because, if they are not, it will absolutely kill you. Congratulations to the team at Soloway Designs for being a 2018 Top Rated Local award winner! Top Rated Local® is pleased to announce that Renovation Design Group is a 2018 award winner for architects in Utah! Are you looking to renovate your home? 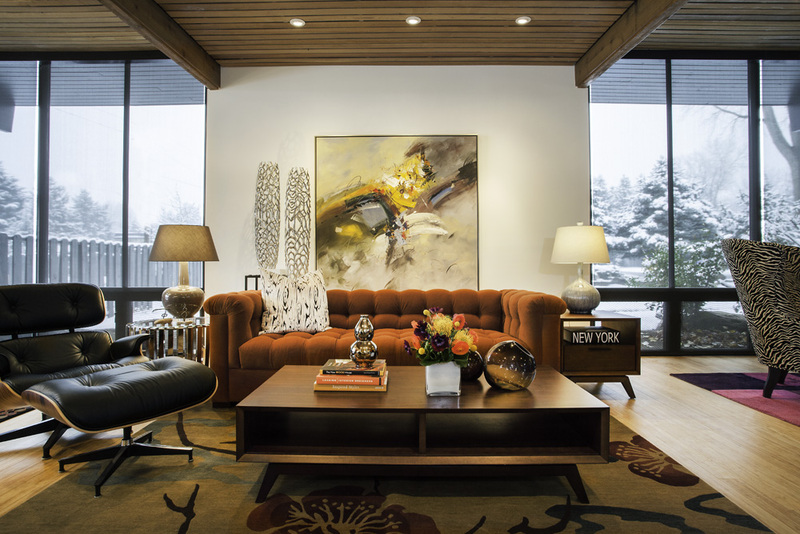 If so, look no further than Renovation Design Group, Salt Lake City’s go-to architecture firm. 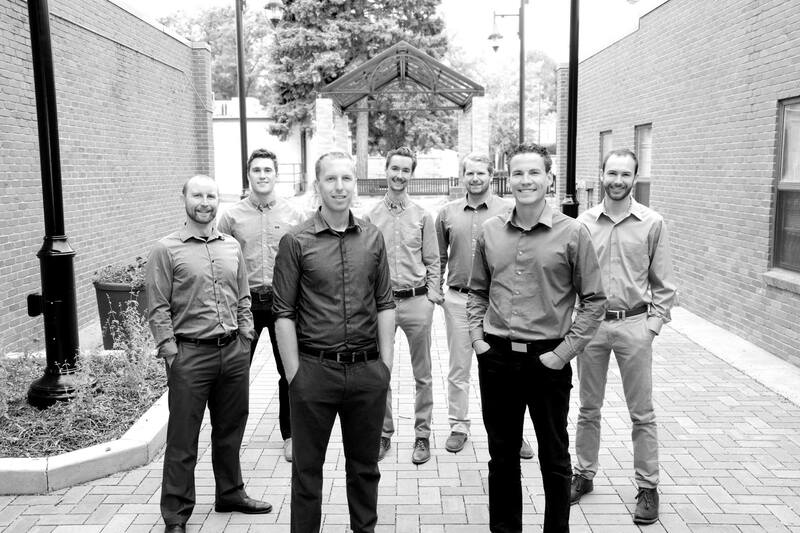 Renovation Design Group has earned multiple online reviews with an average rating of 5.00 stars, an impressive Rating Score™ and a 2018 Top Rated Local award for being ranked among the top 10 architects in all of Utah! Renovation Design Group is an architecture firm that specializes in residential remodeling. And after 15 years in the field, the team has the expertise and experience to help bring their clients’ dream homes into reality. Cheryl credits the impressive online reputation Renovation Design Group has built over the years to the efforts of their media specialist to get their work visible across the web. Renovation Design provides exceptional service for its clients and always makes it a point to show before and after images so that prospective clients can get to know their capabilities. Most of the business that Renovation Design Group gets comes from word of mouth from their happy clients. In the past, they have passed out flyers, and they put signs up in the yards of properties they’re working on. They also showcase their work on Facebook, Instagram and Houzz. Congratulations to the team at Renovation Design Group for being a 2018 Top Rated Local award winner, and thank you so much, Cheryl, for taking the time to speak with us! If the time has come to renovate your home in Salt Lake City, we highly recommend working with the team at Renovation Design Group. Visit their website today! 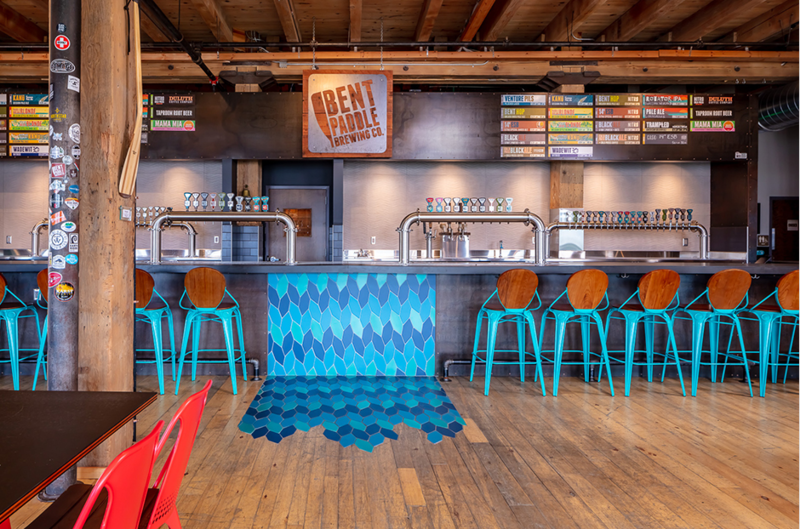 Top Rated Local® is pleased to announce that, thanks to their impressive 96.00 Rating Score™, Kendle Design Collaborative is a 2018 award winner. 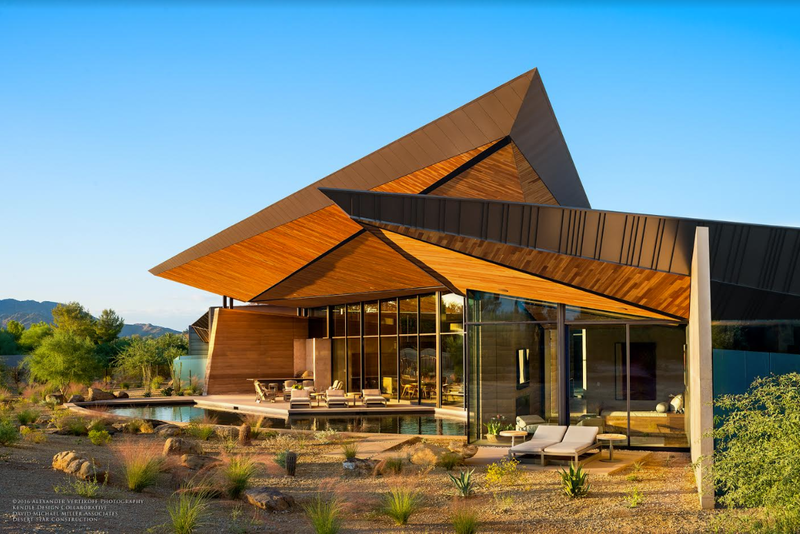 There are many architecture firms in Arizona, but when you want a firm that offers sophisticated designs and next-level problem-solving skills, there’s no better option than Kendle Design Collaborative. We are diligent about posting quality content once a week on social media. We are still working on building our brand, and we post about the projects we take on using high-quality visuals so that potential clients can see our work first-hand. When we post our original designs, we see a lot of traffic. We are a small, boutique firm, and we don’t try to be more than we are. We won’t design just anything our clients want; we are experts in style with a passion for creating original designs influenced by regional modernism. We try to ensure that no two projects look the same, and that our clients all have an original, unique place to call home. Architecture, for me, is more than just a career; it’s also a hobby. Some people play golf, but I’d rather design a house. My goal is to show people that they can have a modern design that stays true to the history and culture of the region. Most of our business comes through word-of-mouth referrals. We have self-published a magazine with the ARA (Arizona Residential Architecture), which allows us to highlight our work with the trade companies that sponsor it. We will be occasionally featured in LUX and Home and Garden as well. We participate in networking groups. We are also involved in philanthropic work and are dedicated to giving back to the community. Don’t underestimate the power of social media. People need to be able to recognize your brand and remember who you are. Thank you so much, Brent, for taking the time to share your wisdom with us. And congratulations to the whole team at Kendle Design Collaborative for being a 2018 Top Rated Local award winner! If you’re in need of an architecture firm in Arizona, we highly recommend Kendle Design Collaborative. Visit their website today! “Steve Gates and his team are exceptional. I’ve designed and built several homes, and working with Steve was the best experience I’ve had. Because he was both the architect and the builder, there were none of the “lost in translation” issues between designer and builder that are all too common. Steve is a better architect because he is a builder and a better builder because he is an architect. Steve plans the work and works the plan — no surprises regarding budget, schedule, or quality. And, unlike many architects, Steve and his team are not afraid of interior design — to the contrary, they focus heavily on the functionality of the space. I give Steve and his team my unconditional endorsement.” -Robert D.
“Working with Steve Gates and his team has been a wonderful experience. 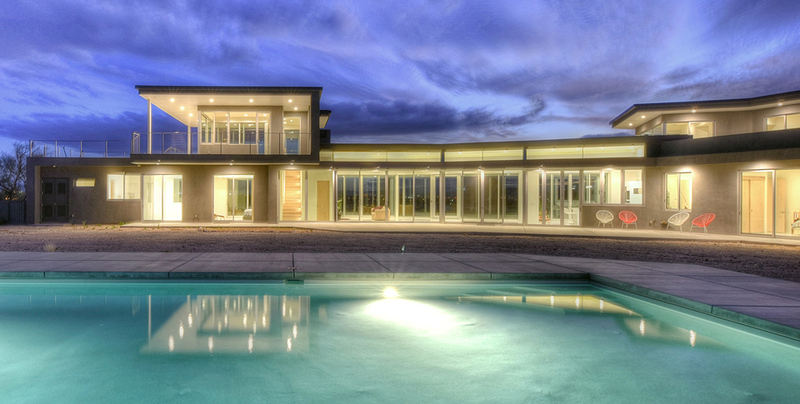 He has designed for us a beautiful modern home that captures panoramic views east over Pagosa Springs to the mountains. He planned our energy-conscious home to have a low-profile on a hilly terrain and incorporated local elements, like slate and wood, that blend well with the surrounding environment. 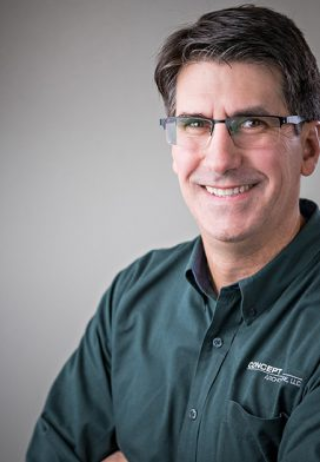 Steve’s process of discussing ideas for placement, spaces, and materials, through concept sketches and detailed design to building, execution with E-Terra has been interactive, stress-free and smooth. Steve and his team take the time to explain their work clearly while listening and responding quickly to our questions and suggestions. We truly appreciate their professionalism, dedication and timely build schedule and do recommend them highly to anyone looking to design and build a beautiful, unique home.” -Annette and Michael U. Office manager, Lisa Gates, took the time to speak with us regarding the company’s success and online reputation. We make sure to ask our clients for reviews and control the process as much as possible. Providing awesome work and building great relationships is huge. Our passion and dedication to perfection, even in the smallest details, is what makes us truly different. We really want to give our clients the very best. Our mission is simple — to make Durango a more beautiful place to live and improve our community. We stay active in our community, doing things like fundraising and working with local schools. Also, our office stands out. Because we’re in a visual business, that can really draw people in. Keep personal and political views separate from your business and maintain the highest level of professionalism anywhere people can find you online. Thank you for your time, Lisa! We appreciate you speaking with us. Congratulations to and your entire team on your 2018 top Rated Local award. 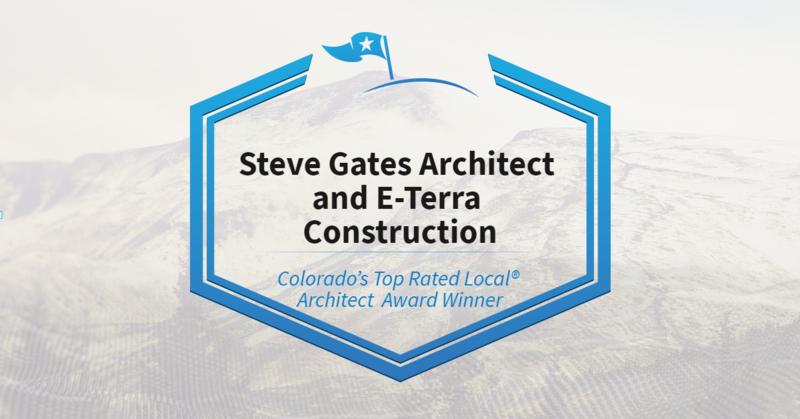 If you are in need of expert architectural services in Durango, Colorado, we highly recommend Steve Gates. You can learn more here. Colorado’s Top Rated Local® Architect Award Winner: F9 Productions Inc.
Top Rated Local® is proud to announce that F9 Productions Inc. is our award-winning architecture firm in Colorado for 2018! With a team of young, experienced, energetic and creative architectural design professionals, F9 Productions Inc. is the architectural firm to turn to in Denver and along Colorado’s Front Range. What’s F9 Production’s secret to such a solid online reputation? We took a few minutes to sit down with Lance Cayko, Co-Owner, to find out. Here’s what he had to say. Unlike other companies in our industry, we always make it a point to deliver completed projects on time and under budget. The first thing that sets us apart is our attitude. We are just good ol’ mid-western boys who are friendly and down to earth. The second thing that makes us different is that we are also professors at CU, and have been for five years now. Not only do we practice what we do every day, but we are teaching the next generation of great architects as well. Our goal is to make the process as simple and easy as possible for all parties involved, but especially for the client. That’s why we sync our architecture firm with licensed contractors and developers. When we satisfy our clients’ needs, they are then willing to refer us to friends, family, etc. Additionally, we built a mockup design for the new Amazon headquarters as if they were moving to Colorado. The design got picked up by local newspapers and a few TV stations, and we also ran Facebook ads to showcase the design. It all starts with a great-looking website. From there, make sure that you are able to make your own updates and publish new blog posts weekly. It’s also important that you are on Facebook, Twitter and Instagram, and that you use your Google Business ID. From all of us at Top Rated Local to the team at F9 Productions Inc., congratulations on being the Top Rated Local architecture firm in Colorado in 2018! If you’re interested in learning more about F9 Productions, visit their website today!